Since implementing Eggplant Functional, Banco Sabadell has achieved a significant return on its investment in the solution. Banco Sabadell is the fourth-largest banking group funded by private Spanish capital. It includes several banks, brands, subsidiary and holding companies spanning the whole range of financial business. Specialising in commercial banking, it has a significant penetration in the company and a medium and high-level private customer market. It has a network of 2,418 offices employing a total of 18,077 staff. 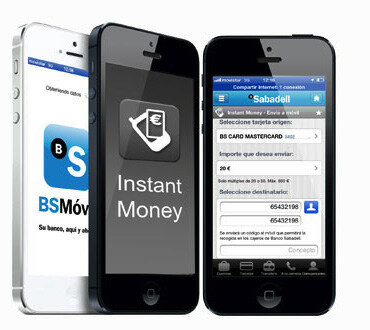 The key IT systems at Banco Sabadell include its internal banking systems, online banking, and mobile banking. Prior to 2014, the bank’s QA division had adopted manual testing processes for developments across all its systems. Previous test automation initiatives had not been successful, but in 2014 the bank decided to look at it again. “We developed a proof-of-concept project for provision of test automation capabilities across internal, online, and mobile banking systems and evaluated the solutions of three leading test automation vendors,” said Graham Moran, independent QA consultant at Banco Sabadell. The bank’s QA team looked at solutions including Unified Functional Testing (UFT) from HP, Squish from Froglogic and Eggplant Functional from Eggplant. With its patented, image-based approach to GUI testing that allows it to interact with any device or application in the same way a user does, by looking at the screen, Eggplant Functional uses sophisticated image and text search algorithms to locate objects on the screen in a completely technology agnostic manner and then drive the device. Following the proof of concept, Banco Sabadell chose Eggplant Functional as the testing solution to support its automation initiative. Phase 1 of the automation project focused on the bank’s mobile banking application, closely followed by Phase 2, which encompassed both the online and internal banking systems, and Phase 3, which included additional internal systems. Six months after the project started, Banco Sabadell has been able to automate 80 percent of testing on its mobile application across Android and iOS phones and tablets, and 40 percent of tests on the internal banking and online banking systems, with one staff member assigned to each project. eggOn is the mobile agent that enables Eggplant Functional to fully test mobile apps on iOS, Android, Windows Phone, BlackBerry, and other mobile devices. Since implementing Eggplant Functional, Banco Sabadell has achieved a significant return on its investment in the tool. The bank expects that the money saved through test automation in 2015 will equate to at least 15 times the company’s spend on purchasing and implementing Eggplant. “And that only assumes we continue to run the same level of automation that we have at the start of the year,” added Moran. After achieving such positive results, the bank plans to continue to expand test automation across the organization.